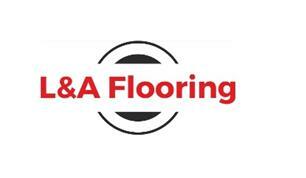 L & A Flooring - Carpets/Flooring based in Shirley, Hampshire. L&A Flooring has been established by Lewis Austin and Andy Simpson, between them they over 25 years’ experience in Flooring and have qualifications and flooring diplomas. We supply and fit a huge range off Carpets and vinyl’s plus all accessories to suit all, from budget ranges all the way through to higher end wool carpets. We also offer uplifting and disposal of old flooring as well as furniture moving service if required. We also undertake flooring preparation work such as screeding & plying sub floor ready for your new flooring. Our aim is to never be beaten by any carpet shop on price as well as provide the best personal service and highest standards of workmanship. We always clean up and take away any rubbish and tubes.